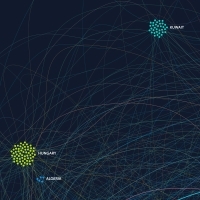 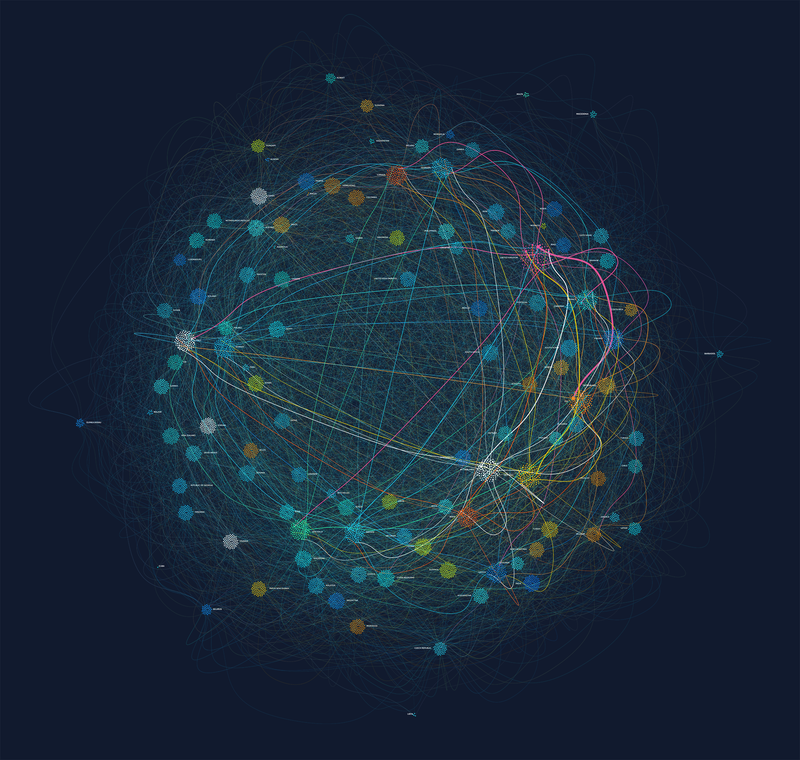 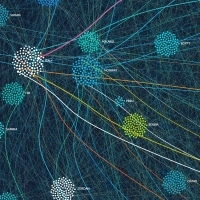 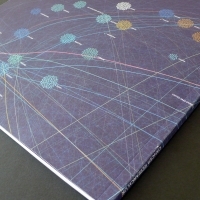 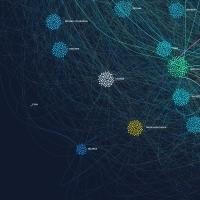 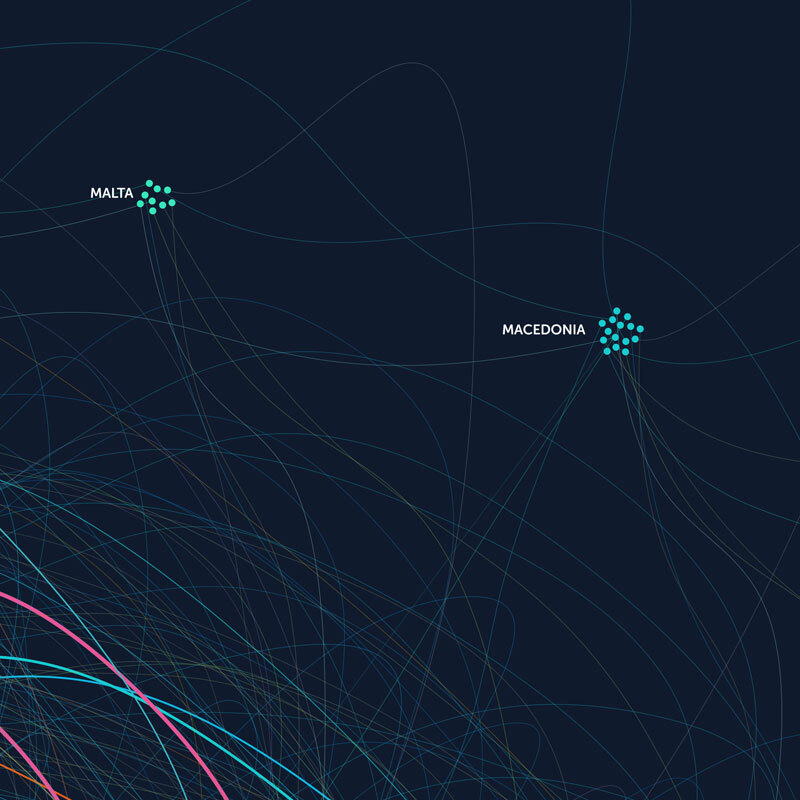 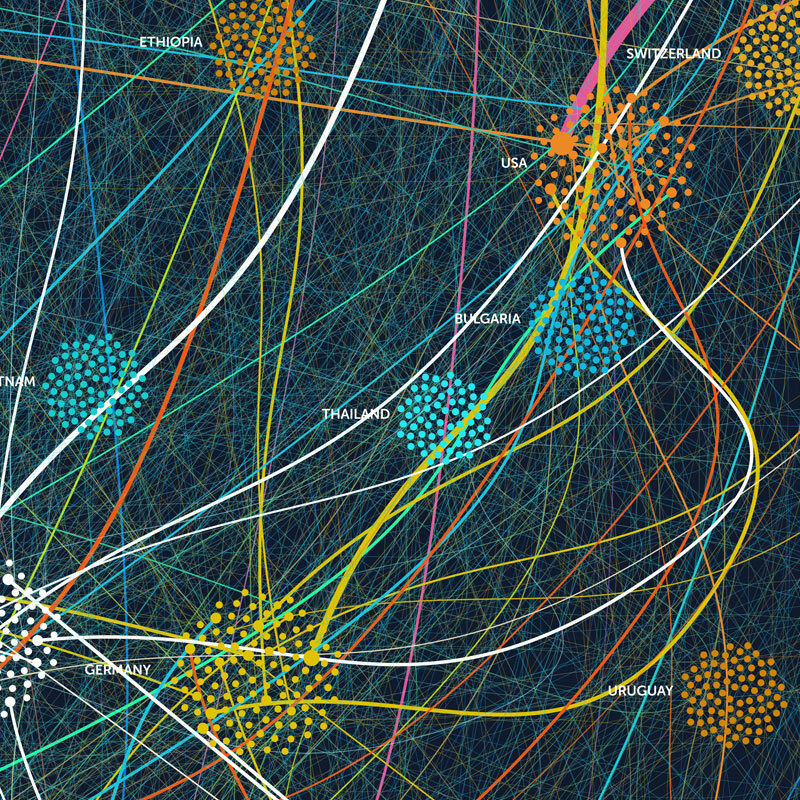 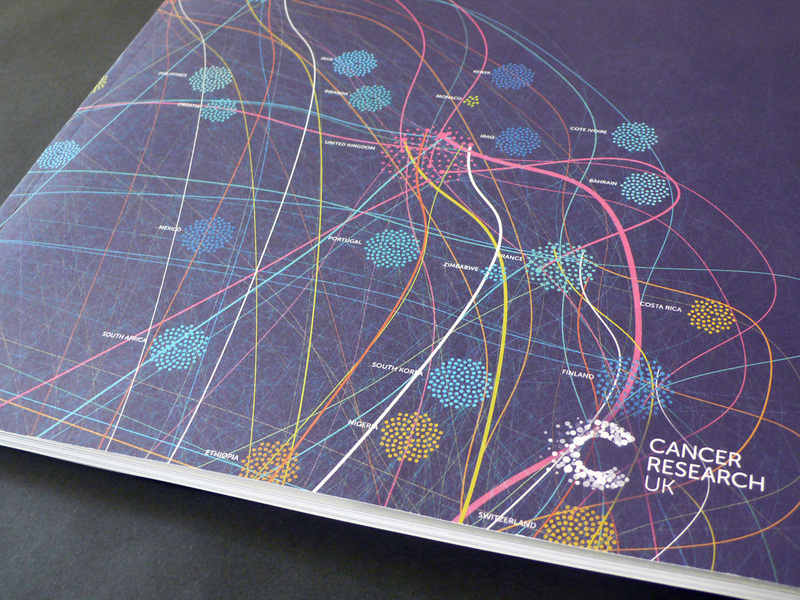 Commissioned by Someone for Cancer Research UK, a data visualisation created for the cover of CRUK's 2016 Research Annual, showing the the far-reaching collaboration between scientists all across the world fighting to beat cancer. 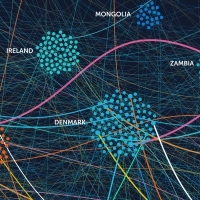 Each country is made up of dots, each of which represents another country they've collaborated with on a scientific paper. 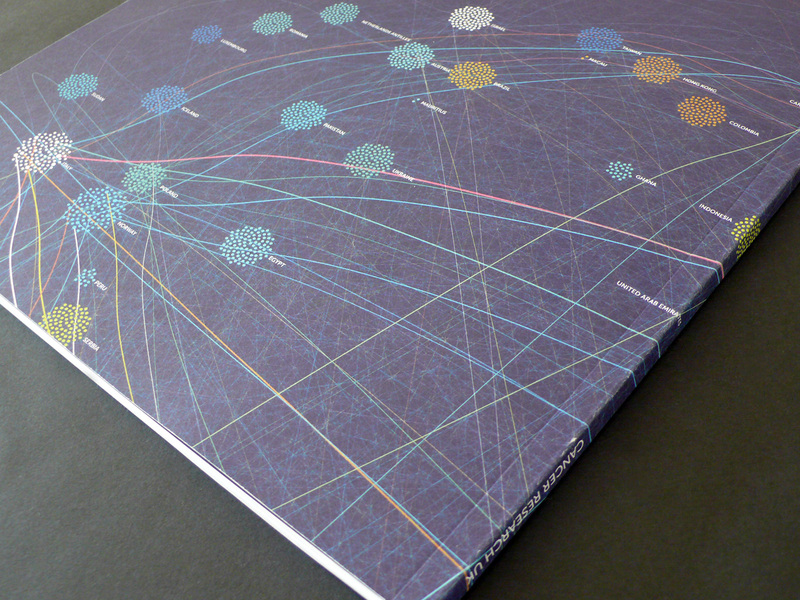 Lines then connect these collaborators, the thicker the line the more papers that have been collaborated on. 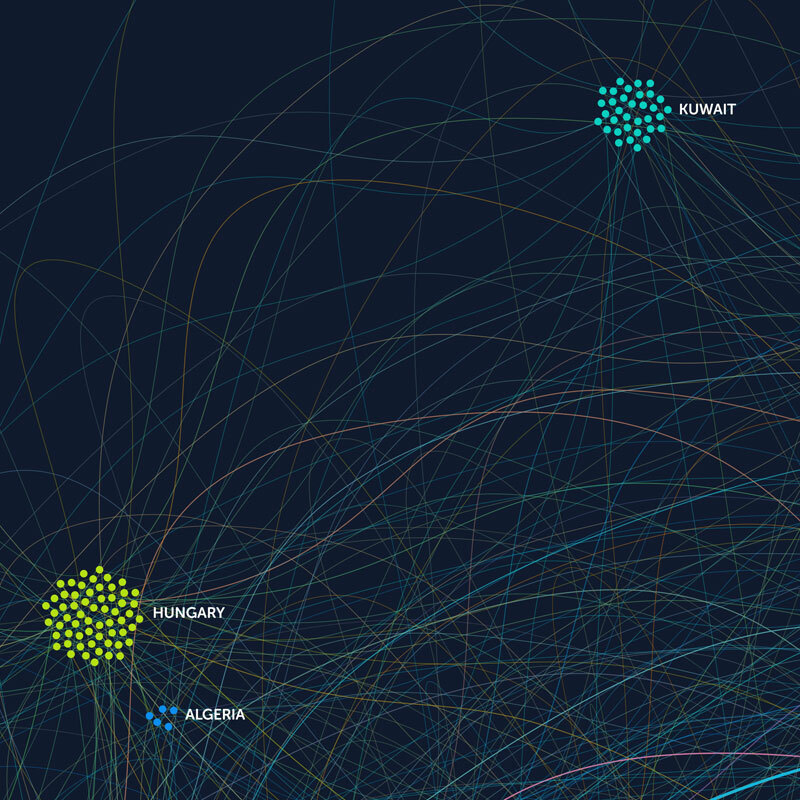 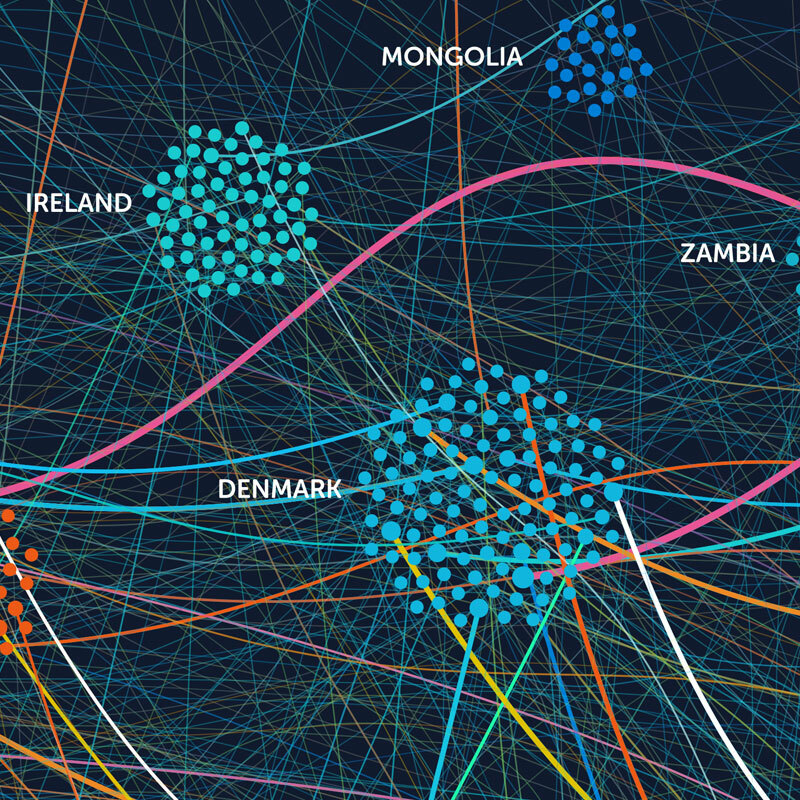 I wanted to create an image that attempted to convey the flurry of constant activity between the different countries, so when you see it as a whole you think wow — so many people working across the world with each other in the fight against cancer. 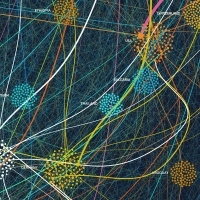 So often with this kind of work it's the surprises that spring forth from such a system that I take a personal delight in. 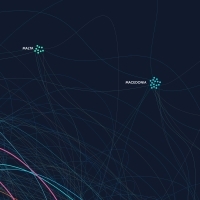 In this case it was the little outlying countries such as Cuba, Barbados or Syria, all part of the bigger story of people across the world, irrespective of borders or political differences to rid the world of these myriad of diseases that touch so many of us. 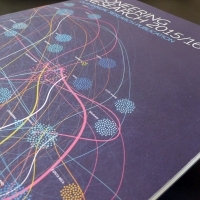 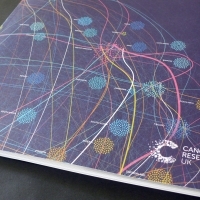 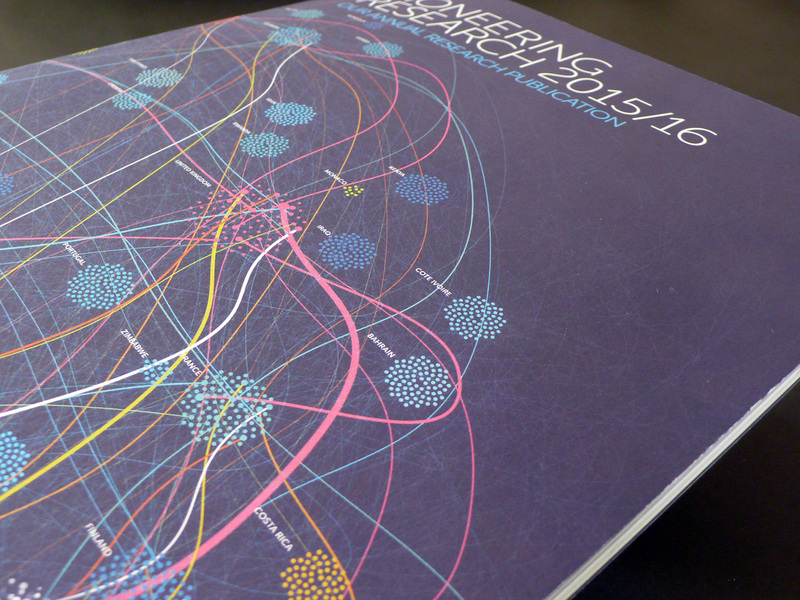 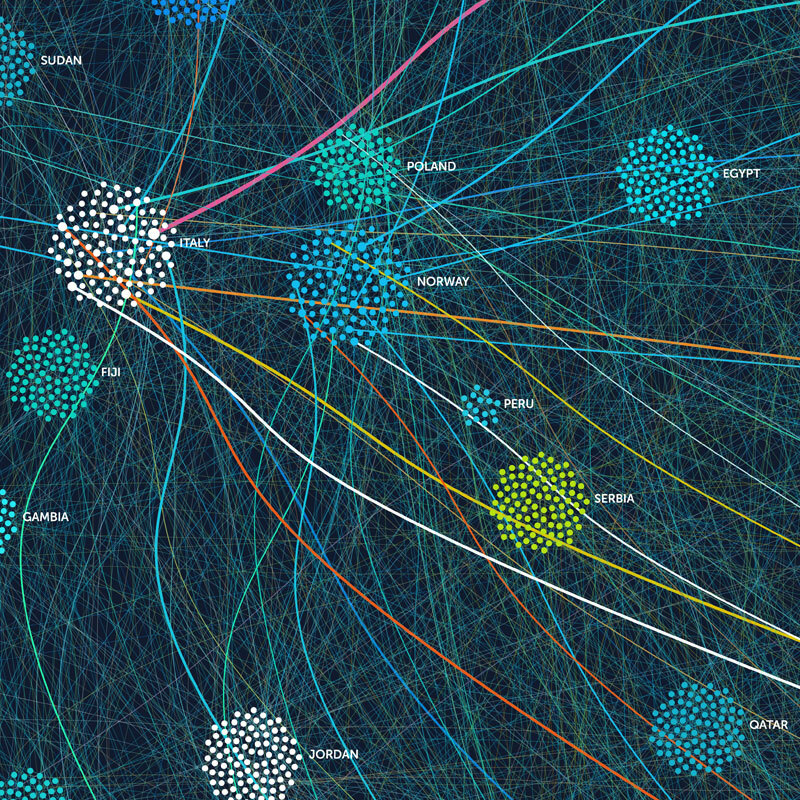 Read more about the research and download a PDF of the visualisation on Cancer Research UK.